There are tons of books that someone will reference or say that he/she loves that I have never read. Or just books that are referenced commonly in movies, other books, etc. I read The Princess Bride last year and now I understand so many more movie/book references. I would love to be able to have read all the rest of the books that are constantly referenced. Impossible probably, but it would be nice. 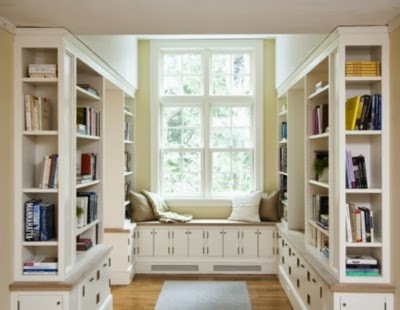 I want a window seat surrounded by books in which to curl up and read when it is sunny outside, or raining, or just all the time. A real library, not just some bookshelves in an office/living room. 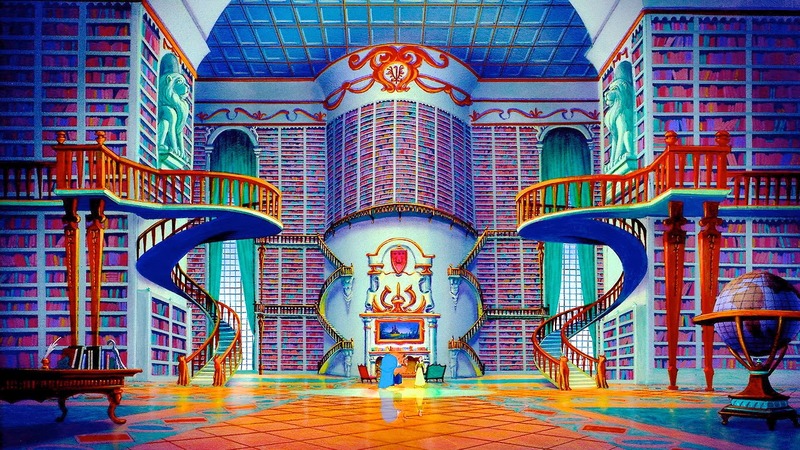 Sort of like in Beauty and the Beast with the wall-to-wall, floor-to-ceiling bookcases. I really want to go to the one in San Diego, but that would be expensive. I almost went to the one in New Orleans this year, but it just didn’t work out. I definitely plan on going to it next year. If not my virtual to-read list on Goodreads, at least all of the books that I have at my house, on my Nook or on my Kindle. My Kindle alone probably has hundreds of books that I’ve purchased and/or downloaded because they was cheap/free. I’m not a very religious person; I believe in God, but not necessarily organized religion even though I'm a confirmed Catholic. I think that I should read it at least once just to form my own opinion without someone else's interpretation about everything it contains. I’ve tried unsuccessfully to read it before, maybe this time I’ll try one of those read the Bible in one year sites to help out. What is on Your Bookish Bucket List? <3 your list! Your this first "Read the Bible at Least Once" that I've seen on here. Love the list! 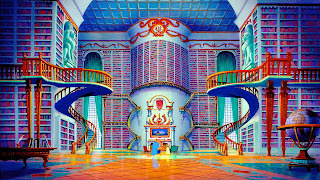 I think having a library in my home like Belle's would be amazing! 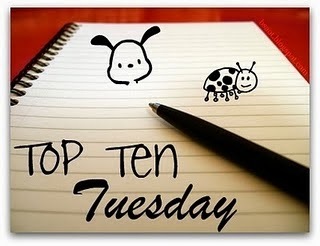 I love how this is a Top 10 Tuesday! You may also want to link up to the original Bookish Bucket List, too!